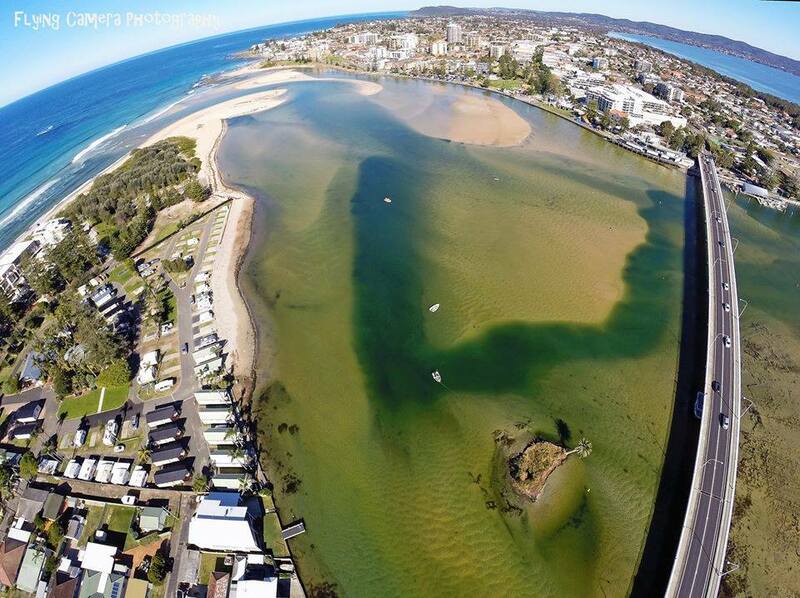 Located on the beautiful lakefront of the Entrance, only 1 hour north of Sydney and 1 hour South of Newcastle, Dunleith Tourist Park is the perfect place to relax, play and holiday. 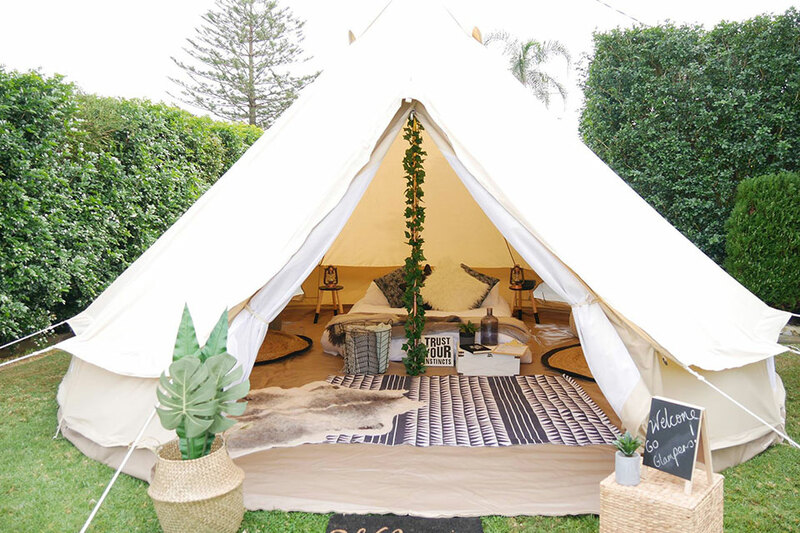 Whether you’re wanting to explore the Central Coast region, just chill out and relax, or want to stay somewhere close but far away from Sydney, Dunleith Tourist Park is the place for you to call your home away from home. While here you can take full advantage of our absolute waterfront location by indulging in the many water activities including fishing swimming, boating, kayaking, paddle boarding, surfing, and prawning just to name a few. 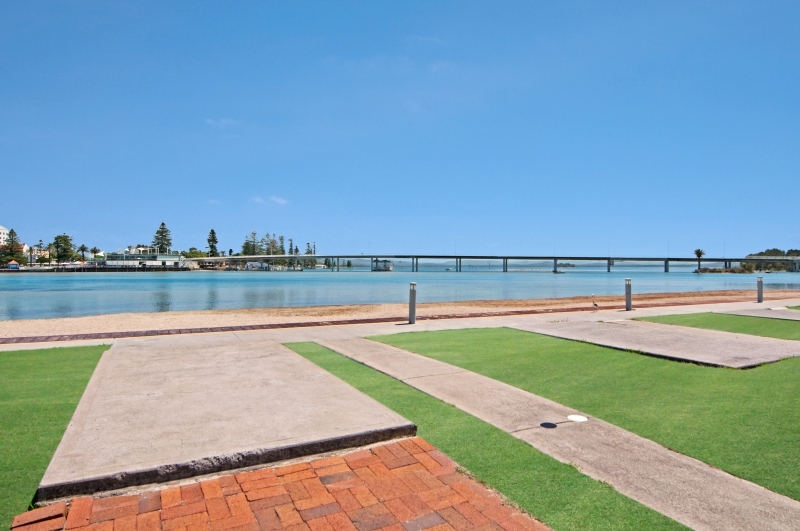 If you love the water, you’ll simply love it here at Dunleith Tourist Park. 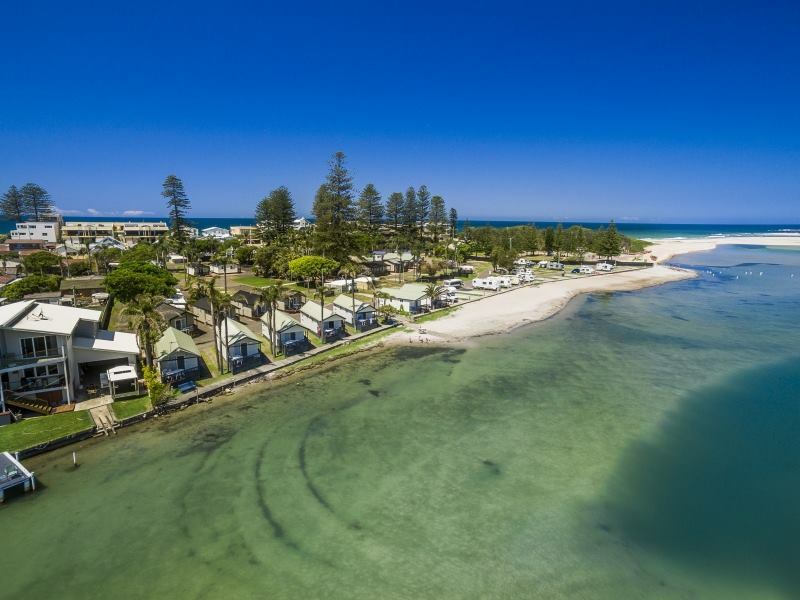 On offer are powered waterfront sites, powered standard sites, and a range of Cabins and Villas. Our newly renovated amenities block adds an extra creature comfort. 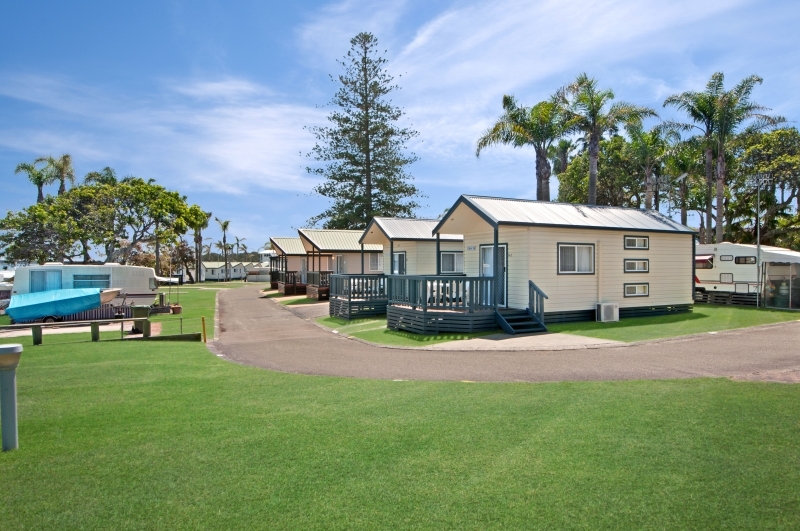 We are a great family holiday park, the best located tourist park on the Central Coast and we look forward to welcoming you on your next visit. 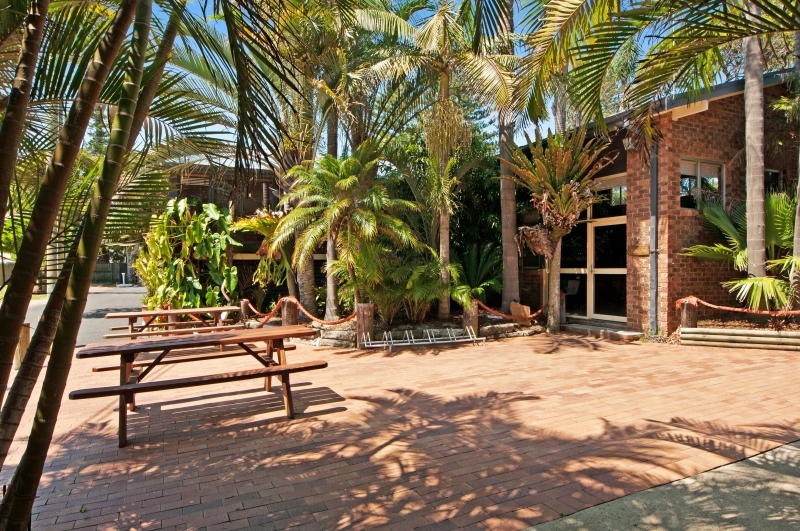 A stay at Dunleith Tourist Park, The Entrance Central Coast is one to remember! We know you will come back again and again. We stayed 2 nights in an on-site 2 bedroom cabin which was right on the water. There is an excellent under cover gas bar-b-que area where you can cook. It has tables for eating and there are also fridges, a microwave oven, plus kettles and toasters. We enjoyed a great meal there. being right on the water you can fish from high outside your cabin. The view looks across the channel to the main town of The Entrance and it only takes around 10 minutes to walk into town.The staff in the office were very friendly and also gave us tips for the best fishing spots. There was plenty of room and it is a nice quiet place at night. We will be happy to go back there again. My family has been visiting this park ever Christmas for over 20 Years, kids grew up having the best time ever. 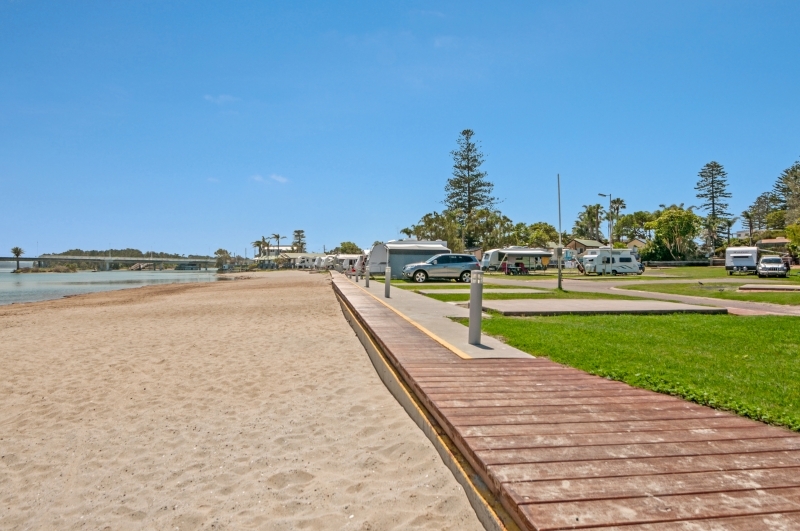 Beach is only 50 metres from the front gate of the park. The lake is directly in front of the park. The lake is suitable for swimming, fishing, prawning and all water sports. We enjoy the afternoon chats in the BBQ area, which is undercover and has a full kitchen, fridge, freezer, kettle, microwave and toaster for those with little resources. The amenities have been renovated in recent years and are well maintained daily. We love that you can easily walk over the bridge to town if you need to do some shopping or have some drink or lunch at the pub. Enjoy we do. Travelling around Australia decided to stay 3 days at the Dunleith Tourist Park in The Entrance North what a lovely park. Well appointed units and sites and many on the waters edge, helpful and friendly staff, definitely worth a visit if in the area. Nice park in a great location. Staff helpful and assist with getting caravan onsite which is a nice touch. Water front sites roomy and direct access to water. Modern facilities but found during peak period not very clean. A good park to stay in. Over the last six or seven years, my wife and I have stayed here several times each year. 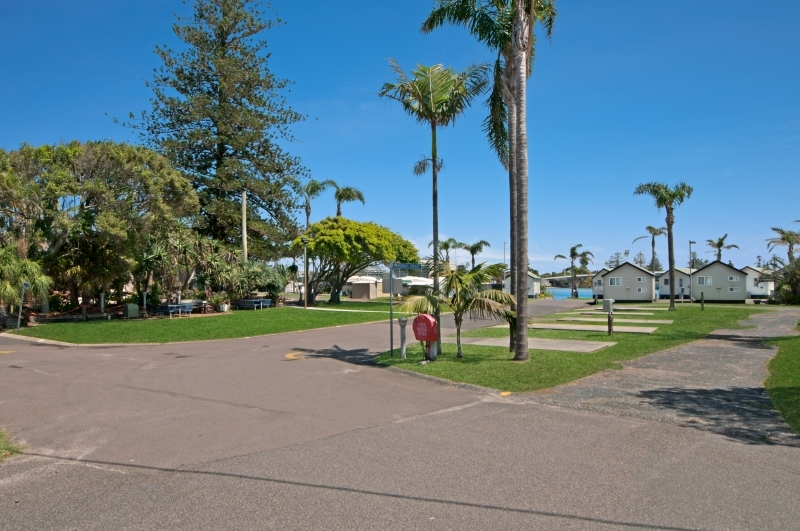 The park is in an ideal location as you can easily see.. more importantly, the staff are friendly, the amenities are newly upgraded and spotlessly maintained, waterfront sites are right on the newly added beachfront (after the “big storm a couple of years ago) and security patrols around each night. There is room for a couple of bigger rigs and nearly all sites have slabs.. some sites are tight BUT staff will put you van on with a tractor if you desire.. great place!